1. At 0740 hours (H plus 70), 6 June 1944, two officers and thirty-four enlisted men, and advance traffic section of the 29th Infantry Division Military Police Platoon, attached to the 116th Regimental Combat Team, debarked from LCI # 94 and came ashore on the Normandy Beachhead in France. Six men of this section landed at 2200 hours and joined the following day. This unit, according to plan, was to land at Omaha Beach (665906), but due to poor visibility debarked approximately two miles east of this point, and in the 1st Infantry Division area in rear of troops of the 16th Regimental Combat Team. 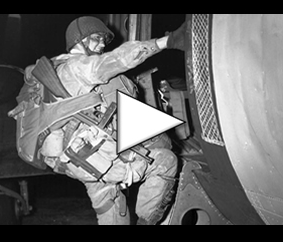 The advance traffic section mission on landing was to control the traffic on the beach, beach exits, and the roads leading to the vehicle transit areas in the zone of the 29th Infantry Division. On landing, the assaulting troops were met by continuous heavy artillery, mortar, and small arms fire, and the military police fought with the infantry in their advance from the beach to their objectives until following morning. On the morning of 7 June 1944, in attempting to contact Military Police Platoon Headquarters, the advance traffic section joined the 2nd Battalion of 116th Infantry in its advance toward Vierville-sur-Mer, as it was know that the headquarters as in this vicinity. The military police assisted the infantry in evacuating the wounded and guarding of captured prisoners in this advance. The Headquarters of the Military Police Platoon debarked from LCI #414 and came ashore on Omaha Beach at 1600 hours, 6 June 1944. The command post was established with Division Headquarters at a stone quarry just off the beach, four hundred yards south of Vierville-sur-Mer (643900). 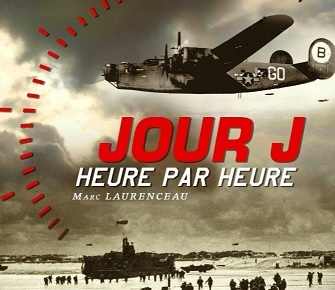 At approximately 1700 hours, 7 June 1944, the advance traffic section reached Vierville-sur-Mer and contacted Platoon Headquarters. Traffic posts were immediately established and a Division Prisoner of War Collecting Point was put in operation. 2. Remaining elements of Military Police Platoon build-up forces joined the Platoon. One officer and twenty-seven enlisted men reported on 8 June 1944 (D plus 2), and one officer and forty enlisted men joined on 10 June 1944 (D plus 4). The Military Police Platoon supported the 29th Infantry Division with traffic control, straggler lines, and prisoner of war collecting points. Traffic control posts were maintained along main supply routes running from Vierville-sur-Mer (646912) to Grandcamp (548941), from Longueville (605876) to Isigny (500855), from Isigny to Bricqueville (603815), from road junction at (534829) to Villiers Fossard (535678), and from Bricqueville to Couvains (562683), during this period. Command post were established at following locations : near Vierville-sur-Mer (643900) from 6 June 1944 to 8 June 1944, near Longueville (585883) on 9 June 1944, near Castilly (550803) on 10 June 1944, near Fosse aux Loups (558777) from 11 June 1944 to 13 June 1944, near Govin (564757) from 14 June 1944 to 16 June 1944, near St. Clair (530702) from 17 June 1944 to 30 June 1944. Vital towns taken by Division during this period were Grandcamp, Isigny, Sainte Marguerite d’Elle, St. Clair, Couvains, and Villers Fossard.